Back in October, my skin was screaming for help. As explained here, a long and sunny summer left its marks in the form of a lot marks, spots and hyperpigmentations. The Biotherm Serum In Oil helped a lot but still, few problems were visible. That's why I couldn't be more happy to enjoy a skincare consultation with American cosmetic giant Kiehl's. 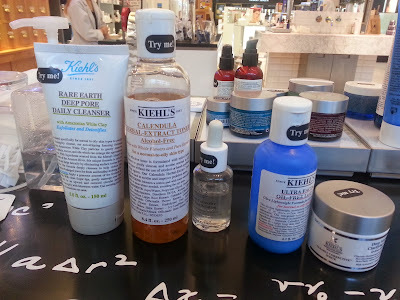 I had the appointment booked with Sissi at the Selfridges Exchange, where the Kiehl's counter is something you really don't want to miss. It's very big and has got that "pharmacy" look with all the labels on the wooden drawers and the products on the shelves. I really like the fact that all the products are on display, all the testers are easy to reach, so if you, like me, are the kind of client that want to go around the counter trying and looking at everything by herself, you'll love this place. 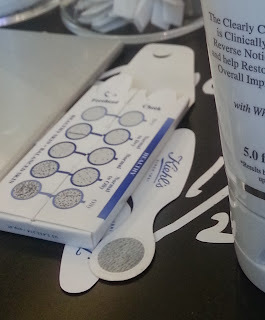 After a little chat and few questions, Sissi did a test on my skin applying some paper strips and analysing the result. It appears that I have got quite oily skin on my t zone but some dry areas around the cheekbones. I talked about my main concern too, the dark marks, so she set up a skincare regime suitable for my condition. 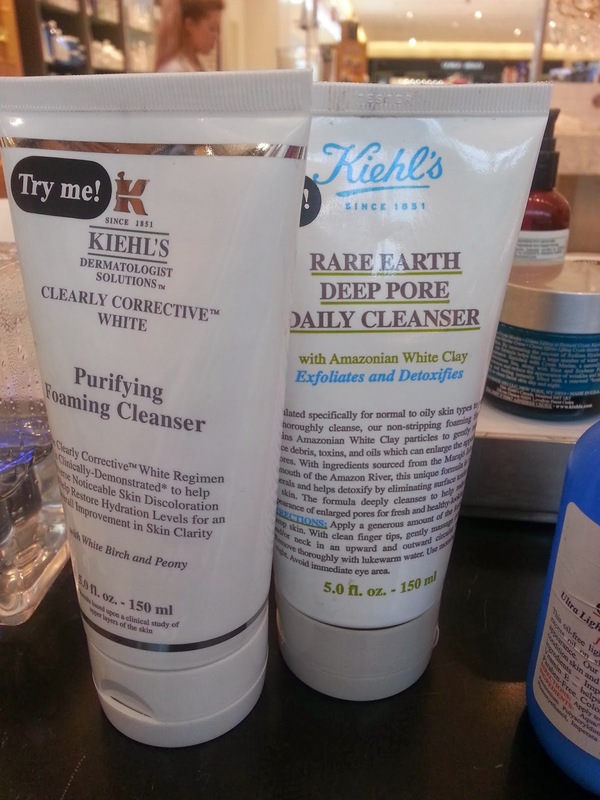 I was given two options, The Clearly Corrective White Purifying Cleanser (£23), targeted to treat discolourations and dark spots and the Rare Heart Deep Pore Daily Cleanser (£18) more specific for oily skin and visible pores. 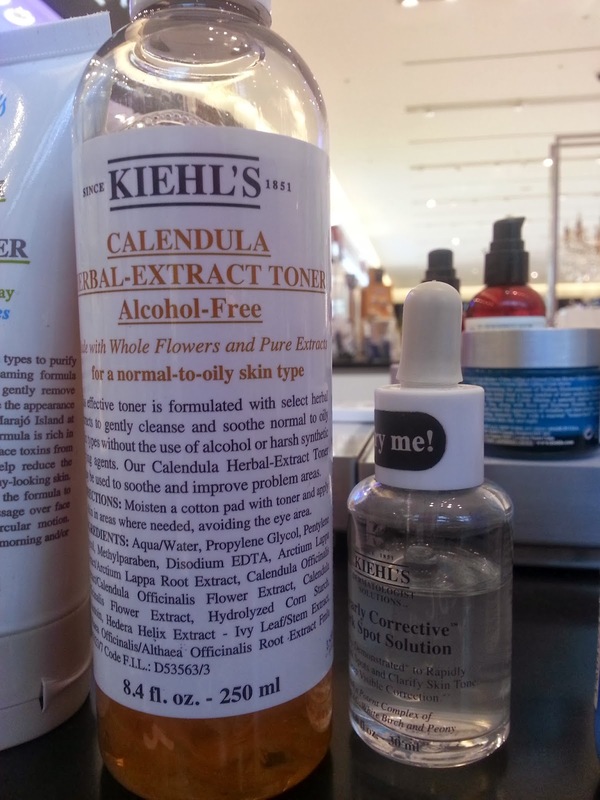 I was recommended to use the cleanser morning and night, followed by a specific toner, this for example, the Calendula Herbal Extract Alcohol Free Tone (£34) that has got a soothing effect on a skin with some problems like mine. I like the fact that you can actually see bits of herbs and leaves in the bottle! And here comes the star.. 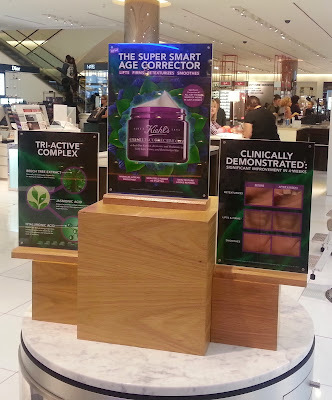 This Clearly Corrective Dark Spot Solution (£49) promises to fight the hyperpigmentations and the dark spots of the skin...ah baby I was looking for you! Their new released serum serum looks quite interesting too,it's called Midnight Recovery Concentrate (£36) and acts like a boost of energy for your face. At this point the only thing left is the moisturiser. 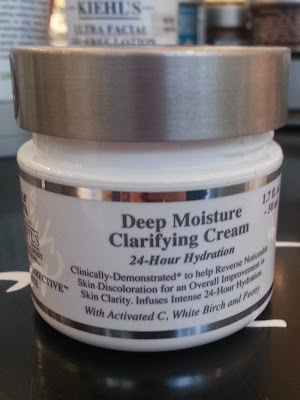 This is one of the best selling products from Kiehl's, the Clearly corrective white deep moisture clarifying cream (£41) that combines a deep moisturising effect with a clarifying action. 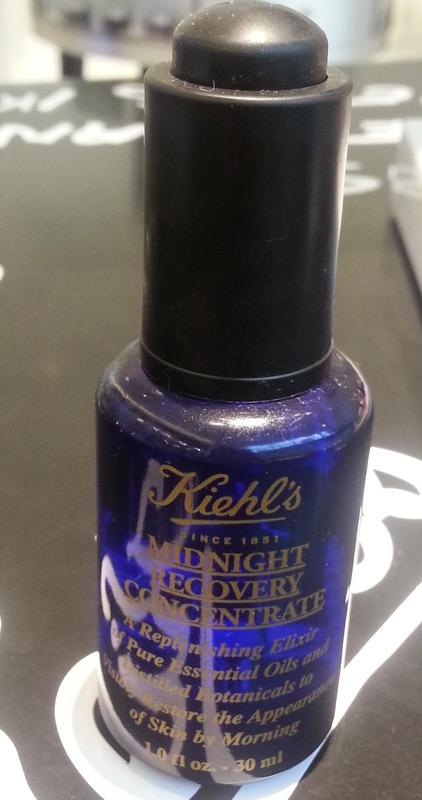 I decided to purchase the serum (how can I resist something that is called "corrective dark spots"?) 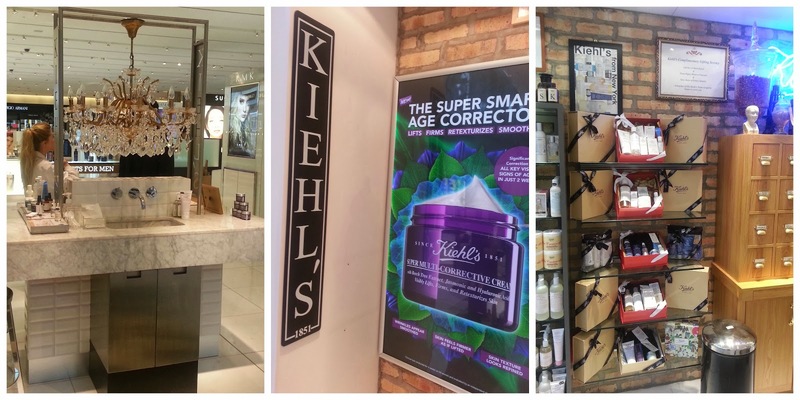 and Susie was so kind to give me some samples, as the multi awards winning body moisturiser Creme De Corps (seriously Kiehl's people, how many prizes did this cream get? ), the Midnight Recovery Concentrate, the new moisturiser Super Multi Corrective Cream and the Double Strenght Deep Wrinkle Filler. I will soon post a more detailed review about some of the products shown and some other of my Kiehl's favourites. There are some beautiful Christmas gift ideas at the moment, with a limited edition packaging designed by the New York city artist Eric Haze. 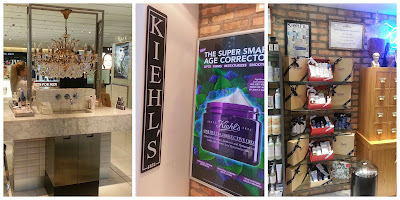 I really would like to thank you Sissi for her help and everybody at the Kiehl's counter for your help and your patience with my Precious Baby (that during my appointment required a feed, a nappy change and some singing to get asleep) and of course thanks to Jen for my appointment. 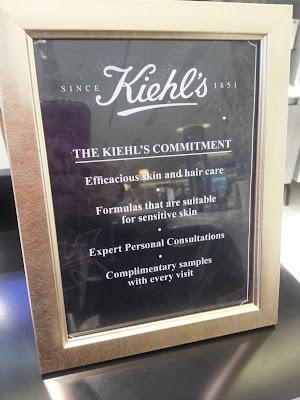 If you have any skin concern, I strongly recommend to go and have a talk with all the nice people at the Kiehl's counter, you too can have a skin consultation to help you decide what is better for you. Stay tuned for more reviews, especially about a certain product that will feature as my absolute star product of the year. 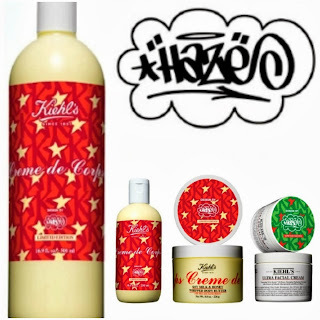 You should go and have a look at kiehl's, I am sure you will find something!